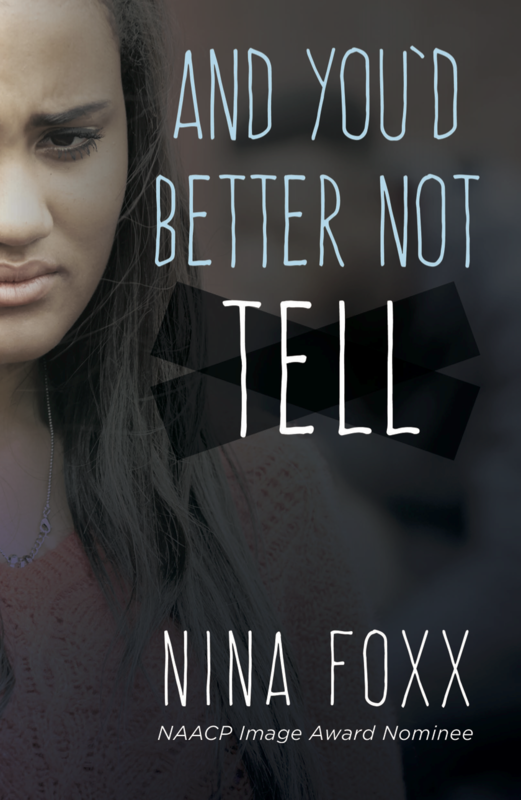 August 28, 2016 (Seattle, WA)- Nina Foxx is back with another Young Adult novel that deals with social issues involving teens and young adults. In And You’d Better Not Tell, summer on a college campus might be a chance for Rumer to reinvent herself and leave her bookish identity back in the halls of her high school. She’s studied how to be an “it” girl and plans to make the best of her three weeks. Rumer attracts the attentions of Dante, an athlete she has watched on the track every day since arriving, and is ecstatic when she discovers that he might have noticed her too. Dante is a popular, smart and everyone knows him, so what if he ends up being the teaching assistant for Rumer’s class? “I wrote this book after contemplating of all the news around dating violence and examining the social dynamics and values that lead young men and women to adopt unhealthy social roles and the resulting consequences. My purpose is not to place blame or point fingers, but to force people to take a closer look at the things we unwittingly teach our young people around dating,” said Nina. She consulted certified family counselor and lawyers to design the discussion guide that is included with the book. Nina Foxx is an award-winning filmmaker, playwright, and novelist that write as both Nina Foxx and Cynnamon Foster. Her work has appeared on numerous bestseller lists around the country, and her films have won awards at the Sundance Film Festival, the Tribeca Film Festival, Cannes, and the Rome International Film Festival. Nina is a 2014 African American Literary Awards recipient for Author of The Year (Adult & Children/YA), and Best Anthology (A Letter for My Mother). Her novel, Momma: Gone has been nominated for 2015 NAACP Image Award-Outstanding Fiction. Several of her works have been options for film or stage. Nina is a proud member of Alpha Kappa Alpha Sorority, Inc, The Links, The Girl Friends, and Jack & Jill of America in addition to the Association for Computing Machinery’s Human-Computer Interaction Special Interest Group. She speaks on many topics related to Sisterhood, Motherhood, STEAM related topics and volunteers her time speaking to classrooms via CODE.org and Black Girls Code. She is available to talk to teen groups. If you would like to discuss partnerships, interviews or speaking engagements, please contact YLGORE74 [at] gmail [dot] com. To connect via social media, visit Nina Foxx Author Page on Facebook, on Twitter @ninaFoxx and @writerninafoxx on Instagram.